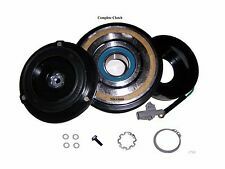 The compressor clutch is a large electromagnet that, when energized, draws the clutch plate into the clutch pulley. The magnetic field holds the clutch plate tightly against the clutch pulley as long as current is supplied to it. 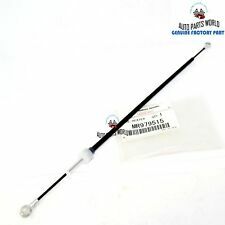 604-107 Universal HVAC Blend Door Actuator Heater For Buick Chevrolet GMC Buick. 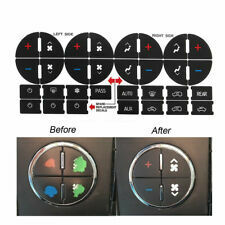 1 x Heater Blend Door Actuator. Buick 2005 2004 2002 2001 2000 1999 1998 1997 1996 1995 1994 1993 1992 1991 1990 1989 1987. 2003-2011 GMC SIERRA 1500-3500 FULLSIZE EXCLUDED DIESEL(6.6L). 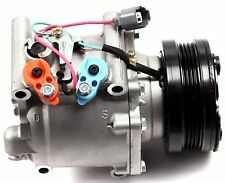 THIS REMANUFACTURED A/C COMPRESSOR FOR THE FOLLOWING VEHICLE NOTICE : Due to Compatibility concerns for the compressor. Toyota Tacoma 2005 - 2016 4 Cyl. 2005 - 2016 6 Cyl. 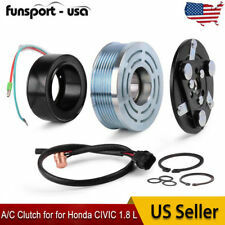 While installing the new clutch, make sure that the coil wires are not rubbing against the pulley. 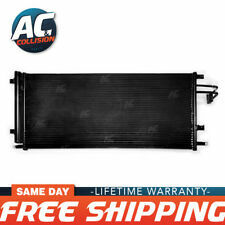 $ACC58124 88 - 94 FORD / LINCOLN / MERCURY 2.5L / 3.0L / 3.8L / 4.9L / 5.0L / 5.8L / 7.5L BRAND NEW OEM AC COMPRESSOR W/ CLUTCH for FS10 89 - 89 FORD BRONCO 5.0L 302CU. IN. V8 OHV 89 - 89 FORD BRONCO 5.8L 351CU. IN. V8 OHV 89 - 89 FORD E-150 ECONOLINE 4.9L 300CU. IN. L6 OHV 89 - 89 FORD E-150 ECONOLINE 5.0L 302CU. IN. V8 OHV 89 - 89 FORD E-150 ECONOLINE 5.8L 351CU. IN. V8 OHV 89 - 89 FORD E-150 ECONOLINE CLUB WAGON 4.9L 300CU. IN. L6 OHV 89 - 89 FORD E-150 ECONOLINE CLUB WAGON 5.0L 302CU. IN. V8 OHV 89 - 89 FORD E-150 ECONOLINE CLUB WAGON 5.8L 351CU. IN. V8 OHV 89 - 89 FORD E-250 ECONOLINE 4.9L 300CU. IN. L6 OHV 89 - 89 FORD E-250 ECONOLINE 5.0L 302CU. IN. V8 OHV 89 - 89 FORD E-250 ECONOLINE 5.8L 351CU. IN. V8 OHV 89 - 89 FORD E-250 ECONOLINE CLUB WAGON 4.9L 300CU. IN. L6 OHV 89 - 89 FORD E-250 ECONOLINE CLUB WAGON 5.8L 351CU. IN. Volvo S60, S80, V70, XC70, & XC90 REMAN. A/C COMPRESSOR W/ 1 year WARRANTY. 2003-2007 Volvo XC70 4 and 5 cylinders only! 2003-2006 Volvo XC90 2.5L only! 2002-2009 Volvo S60 4 and 5 cylinders only! 2002-2006 Volvo S80 4 and 5 cylinders only! 2002-2007 Volvo V70 4 and 5 cylinders only! Compatible with the following vehicles. Genuine Mopar OEM Parts! Mopar warranties their parts for 24 months/unlimited miles. Warranty does NOT cover altered, modified, tampered, or abused parts. Mopar warranties are also VOID once sent international. Turn compressor shaft 8-10 full revolutions to insure front seal and other internal parts are lubricated. You are purchasing a Reman compressor with clutch. THE SYSTEM (COMPRESSOR INSTALLATION). Remove compressor, receiver drier or accumulator, orifice tube or expansion valve. Heater Power: 5KW. 1X 5KW Diesel Heater. Working Temperature of the Heater: -40℃~ 50℃. 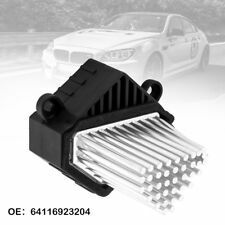 -The heater can be applied for heating the cab of the freight vehicles, vans, storage battery cars and all kinds of other vehicles. 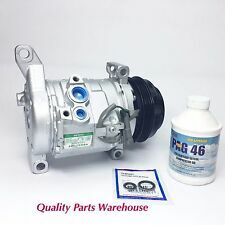 $ACC58161 89 - 03 FORD F-SERIES & THUNDERBIRD / MERCURY COUGAR 3.8L OHV V6 / 7.3L OHV V8 DIESEL TURBO BRAND NEW OEM AC COMPRESSOR W/ CLUTCH for FS10 99 - 03 FORD F-250 SUPER DUTY 7.3L 445CU. IN. V8 DIESEL OHV TURBOCHARGED 99 - 03 FORD F-350 SUPER DUTY 7.3L 445CU. IN. V8 DIESEL OHV TURBOCHARGED 99 - 03 FORD F-450 SUPER DUTY 7.3L 445CU. IN. V8 DIESEL OHV TURBOCHARGED 99 - 03 FORD F-550 SUPER DUTY 7.3L 445CU. IN. V8 DIESEL OHV TURBOCHARGED 89 - 95 FORD THUNDERBIRD 3.8L 232CU. IN. V6 OHV SUPERCHARGED 89 - 90 MERCURY COUGAR 3.8L 232CU. IN. V6 OHV SUPERCHARGED 1 OEM AC COMPRESSOR W/ CLUTCH (8 RIBS) - Before placing your order, please check to make sure this is the correct compressor for your vehicle. We have provided detailed images for your reference. Drain all the oil from the new compressor ,if you compressor has a drain plug you will need to open it up and drain what oil is in there too. Turn compressor shaft 8-10 full revolutions to insure front seal and other internal parts are lubricated. 1984-2002 4RUNNER. 1980-1993 COROLLA. 1995-2001 TACOMA. At BestAutoPartsBuy, we believe that everyone, and every vehicle, deserves good quality parts at fair prices. We are willing to find an amicable solution for you. OE NO. : 7L0820021Q. 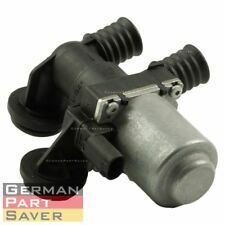 INTERCHANGE PART NUMBERS: 7L0820021Q, 7L0 820 021 Q, 7L0820021L, 7L0 820 021 L. 2011-2011 AUDI Q7 BASE SPORT UTILITY 4-DOOR. 2011-2012 AUDI Q7 ELITE SPORT UTILITY 4-DOOR. 2011-2012 AUDI Q7 LUXURY SPORT UTILITY 4-DOOR. Trending at C $70.46eBay determines this price through a machine-learned model of the product's sale prices within the last 90 days. OE NO. : 79310SR3A01. OTHER PART NUMBERS: 79310SR3A01, 79310S0XA51, 79310SX0962, 79310SX0A01. 1997-2001 Acura Integra GS Hatchback 3-Door. 1997-2001 Acura Integra GS Sedan 4-Door. 1994-2001 Acura Integra GS-R Hatchback 3-Door. Trending at C $129.38eBay determines this price through a machine-learned model of the product's sale prices within the last 90 days. You need to use it with XADO test connector. For repair repair of a worn-out air conditioning compressor: 2 cylinders per system. OEM NUMBER:701 853 601F DRR. Easy to add refrigerant. Uniquely blended products produce cold air fast by including r-134a refrigerant. Plus a/c performance boosters. Part Number: 68004193AB. 2007-2018 Jeep Wrangler. Buy It Now. QUICK LINKS. Quick Links. 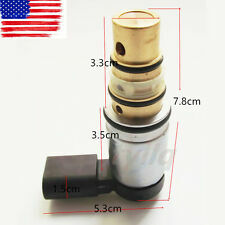 OUR PRODUCT You are purchasing a New A/C Pressure Switch. 1980-1999 Tercel. 1984-2002 4Runner. 1996-2000 RAV4. 1980-1992 Corolla. 1995-2001 Tacoma. 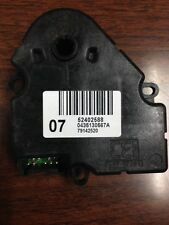 Toyota Part Number 55905-89110 X4. We have All Toyota And Scion Parts. Pictures Are For Sample only. 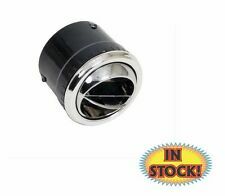 Part Number: HV 1022C. Warranty Duration:1 Year. We are a staffed by Knowledgeable and experienced professionals, giving you "just good old fashioned friendly service"! Mon. to Fri. About the Part. The item is the Blower Motor Resistor. It is just what you need to bring your heating and A/C blower system back to good working order! It can be accessed from the passenger foot well area. GMC SIERRA 1500 CLASSIC 2007. Warranty Type:Manufacturer Warranty. Warranty Duration:1 Year. We are a staffed by Knowledgeable and experienced professionals, giving you "just good old fashioned friendly service"! Part Number: RU-244. The picture listed on this page is a representation of the compressor you will be receiving. Not the exact one. In most cases, you will need to reuse your OEM plug, manifold, and sensors. In most cases the connector / plug from original compressor will need to be spliced onto our compressor. Warranty Type:Manufacturer Warranty. Warranty Duration:1 Year. We are a staffed by Knowledgeable and experienced professionals, giving you "just good old fashioned friendly service"! Part Number: RU-459. Warranty Type:Manufacturer Warranty. Warranty Duration:1 Year. We are a staffed by Knowledgeable and experienced professionals, giving you "just good old fashioned friendly service"! Part Number: S-568. Material: Premium Automotive Grade Black Plastic.